I apologize that most of my posts reference the Summersville/Fayetteville/Pocahontas areas but I can’t help myself — those counties are my favorite and if I had the resources to pack up and move to one of them, I would do it in a heartbeat. However, I do try to visit them and share with you their treasures as often as possible. Like today, for example, as I share with you the long-forgotten mining town of Nuttallburg. Located along the banks of the New River lies what is left of the once thriving mining town of Nuttallburg. In recent years, the National Parks Service undertook a massive project restoring the tipple and conveyor belt as well as installing interpretive signs for the public. The road to Nuttallburg is a curvy, narrow gravel road that is accessible via Route 60 through the small town of Winona (brown National Parks Service signs will guide you). 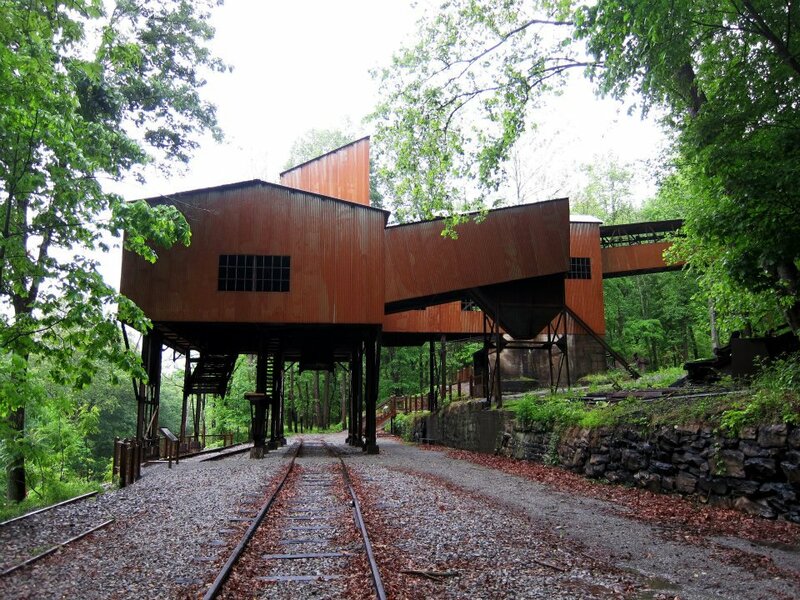 Once there, you may explore the tipple or take one of the many trails to see the former company store, coke ovens, or even ascend to the top of the mountain to the mine opening. If you’re a geocacher, there is also a Nuttallburg Earth Cache that makes the trip extra worth it. Actually, the way I discovered Nuttallburg in 2012 was because of the Earth Cache; Jon and I were planning a geocaching trip in the area right after the cache was posted and we were some of the first geocachers to visit. Talk about a new experience! 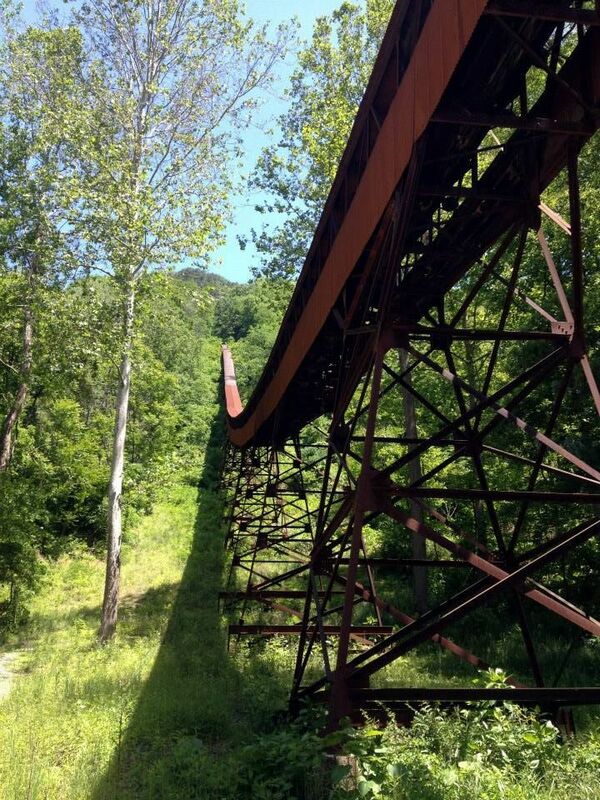 The conveyor belt at Nuttallburg ascends up the steep mountain to the mine opening. A switchback trail will take you to the top. 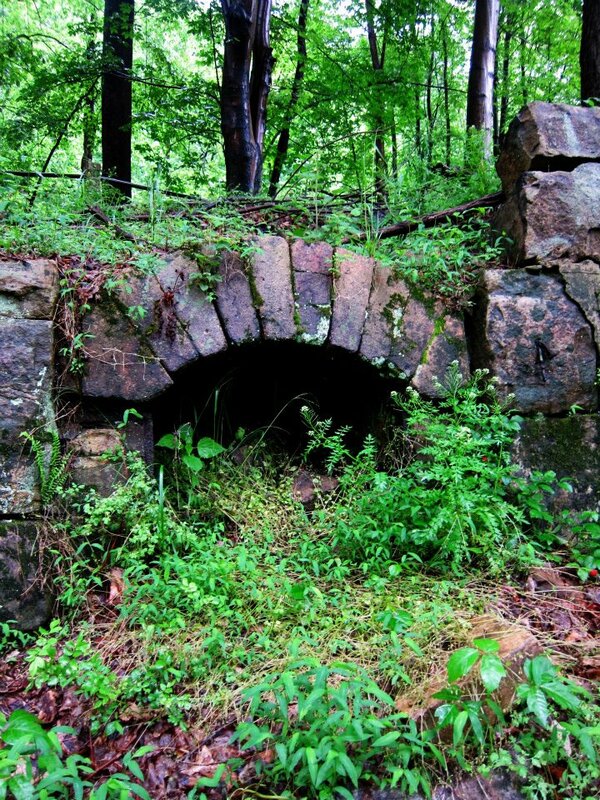 There are many coke ovens in the area, some in tact and some crumbled. Many have the entrances grown up, like this one. 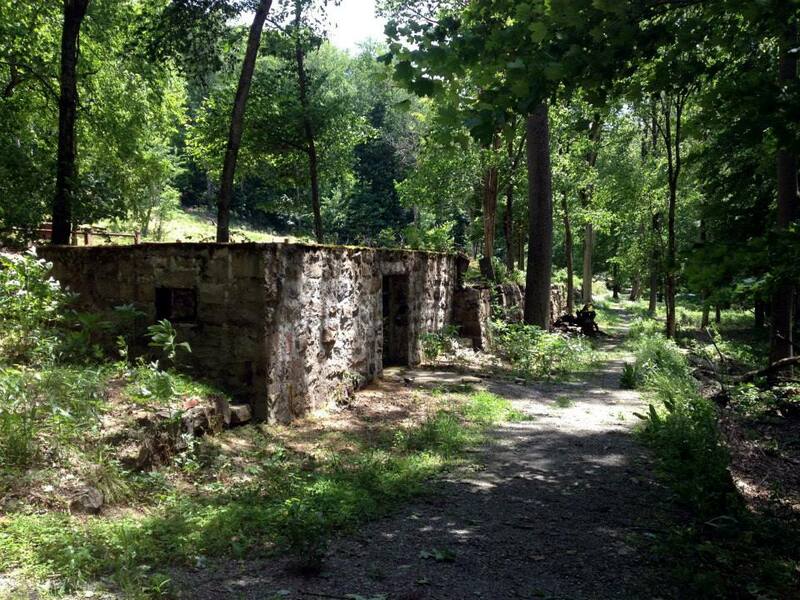 A view of the Company Store foundation at the end of the coke oven trail. 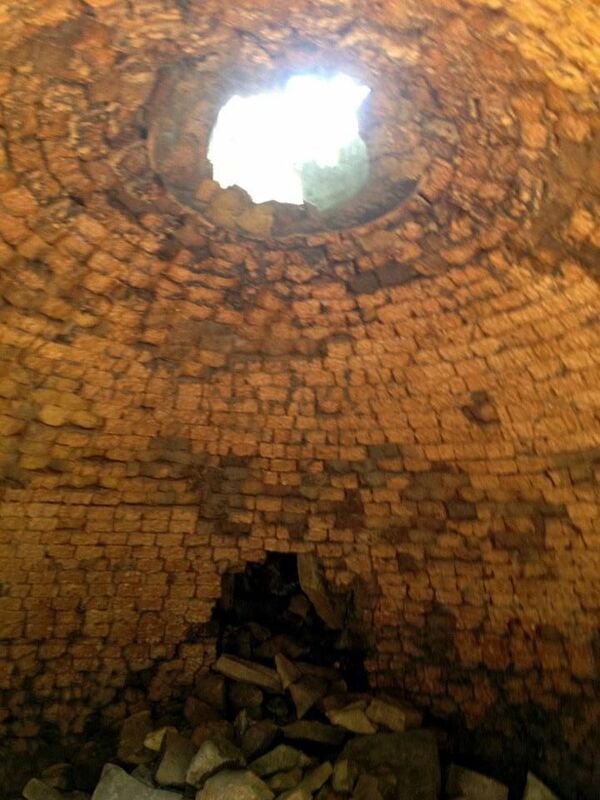 Near the Company Store at the end of the trail is a large oven with its dome still intact. While it is tall enough for adults to enter, please be careful as it could fall at any moment. 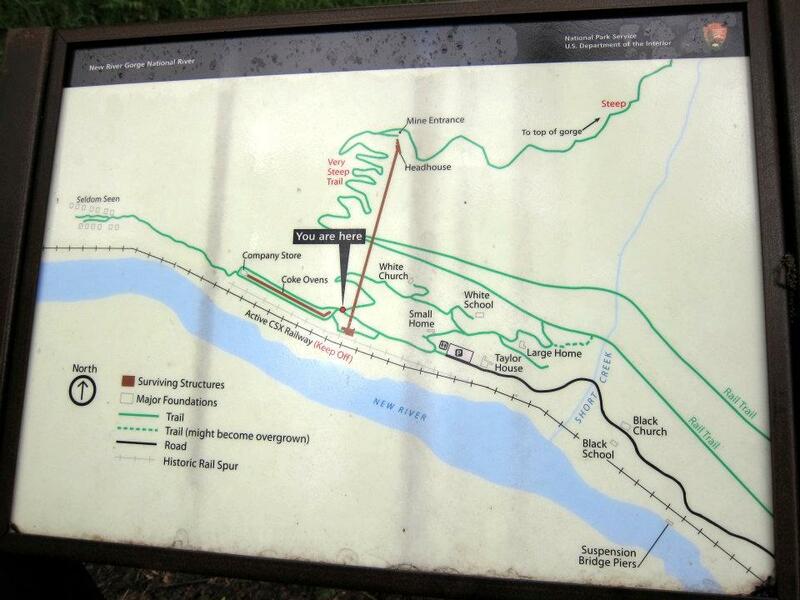 There are many interpretive signs in the area, like this one that shows the layout and trails. When you’re driving down to Nuttallburg, just remember to keep driving — I promise that you will get there, eventually.